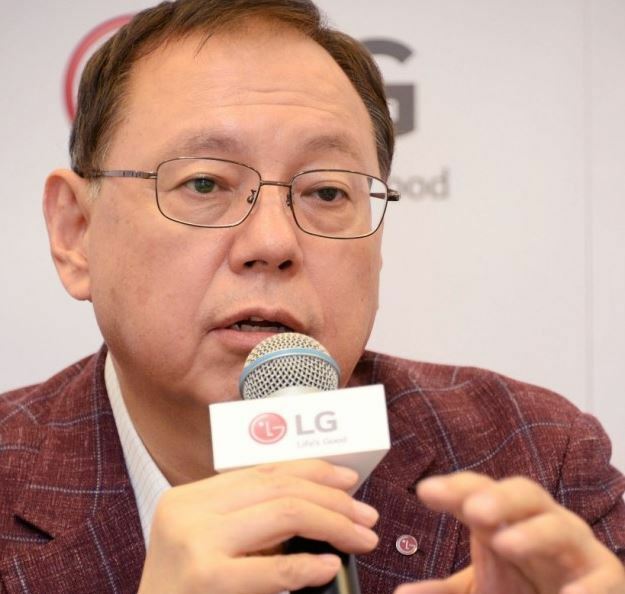 BERLIN -– Jo Seong-jin, vice chairman and CEO of LG Electronics, a passionate advocate of artificial intelligence, believes open cooperation with top AI players like Google and Amazon will help the device manufacturer gather data better and make it a strong AI player. “Our cooperation with Google and Amazon will help us accumulate data in our devices, and this will make LG a strong AI company,” Jo said Friday during a press conference on the first day of IFA 2018 taking place for six days through Wednesday in Berlin. “New businesses by combining the Google data with data could be newly created, and this will benefit consumers in the most effective manner,” he added. The South Korean company is accelerating its transformation from a traditional home appliance manufacturer to an AI and robot technology business under the so-called “open strategy” that seeks open connectivity, open platform and open innovation with outside tech firms and developers. LG will step up the level of cooperation with Google and Amazon and also with some technology research institutes and universities like University of Toronto, according to the CEO. “The company is not considering any mergers and acquisitions of sizable AI businesses at the moment,” he said.